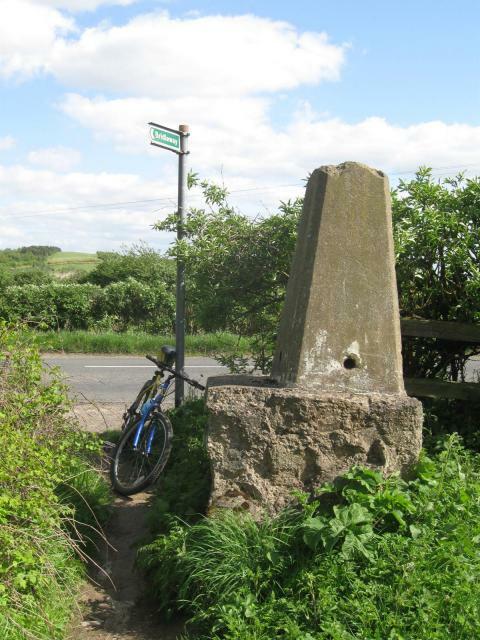 There are 65 photos for this trigpoint (view album). 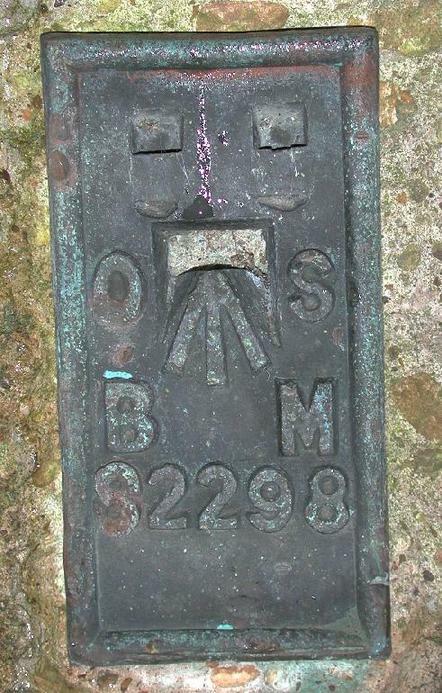 Is ranked joint 18997th with 4 other trigs (more). 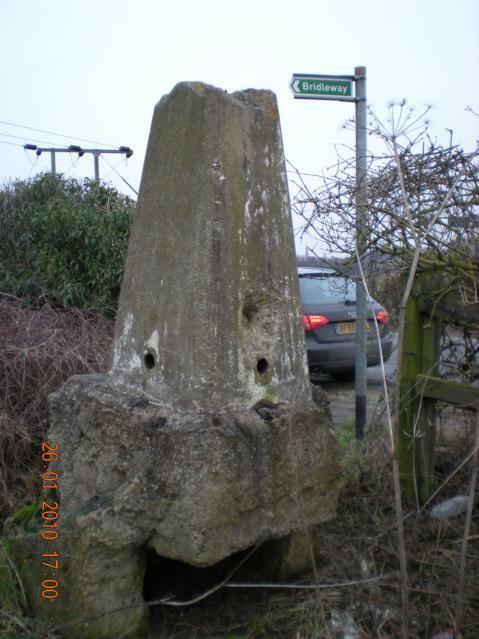 (925) Located inside the entrance to a bridleway. Can be spotted from the road. Just enough room to park up at the location. Litter strewn area, that smells like it's been used for a toilet by every passer-by unfortunately. 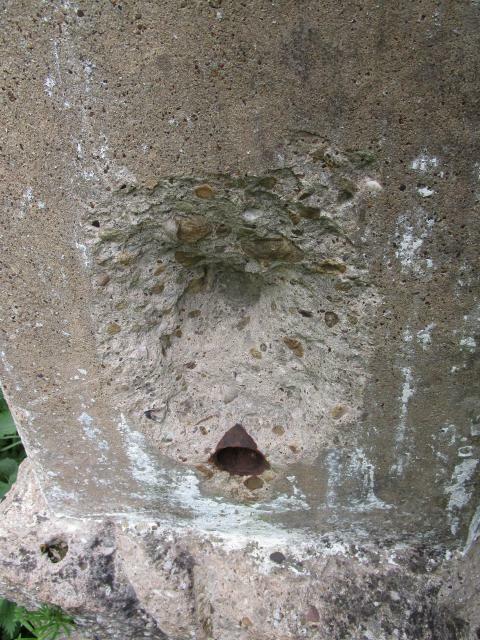 Pillar moved from it's original location (as others have noted, that wouldn't have been easy), and missing it's metal work. The top especially has considerable damage, but still she lives on. 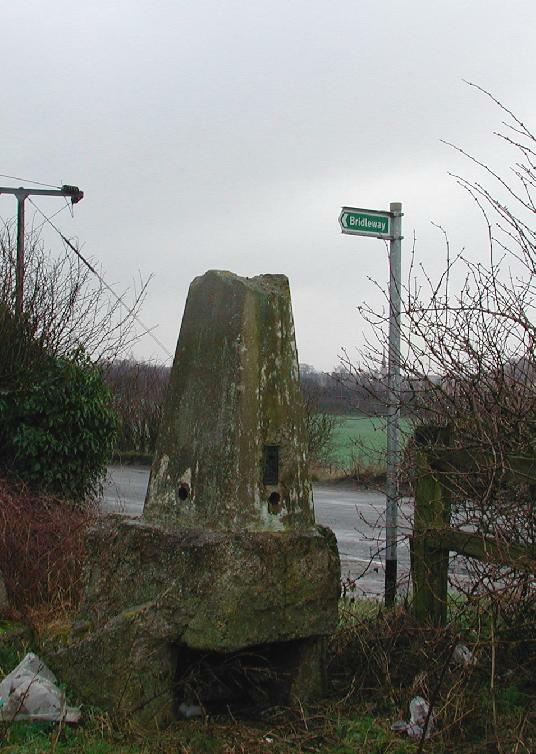 Walked up from Adwick Station bit of a grey day but no rain,pillar in bad state,on to Woodlands next. 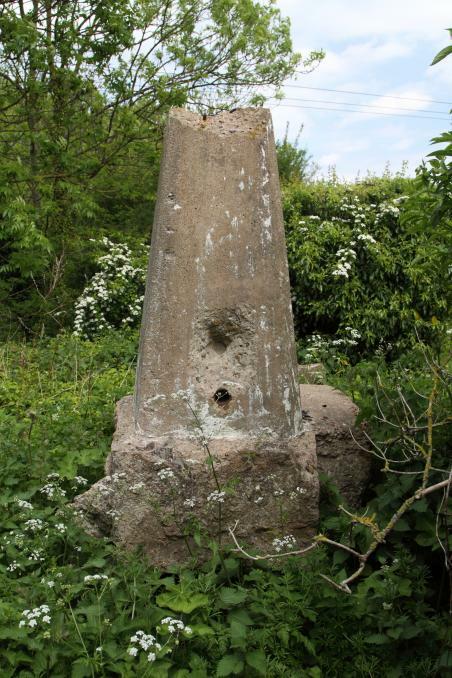 Found this by accident when needed alternative directions on sat nav and it brought up I was alongside it. 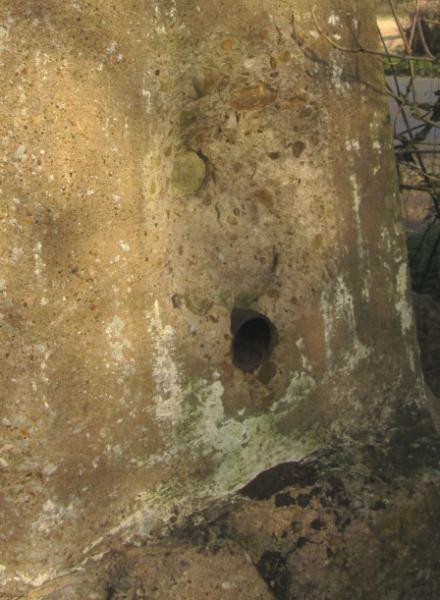 Really shows the depth of foundations to a pillar. 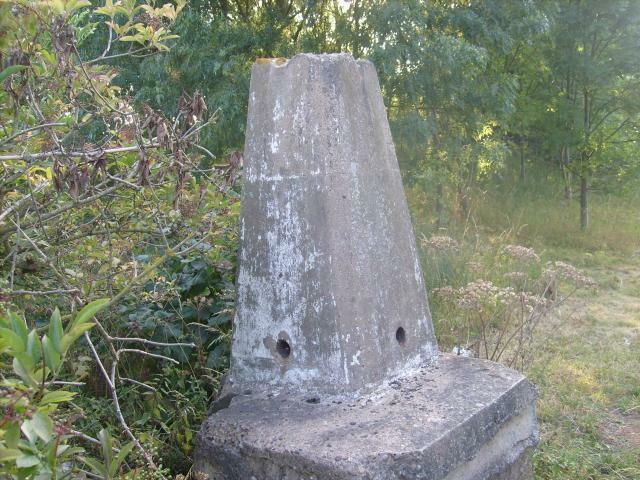 First log of a trig was one I drive past regularly. 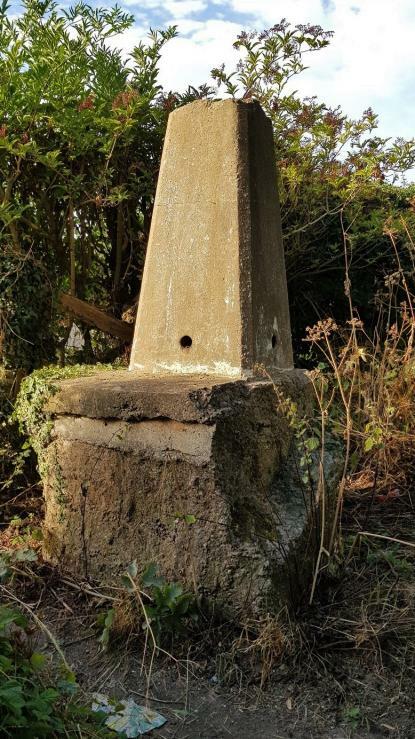 Fairly worn but a great chance to give an explanation of trig points to the Mrs! 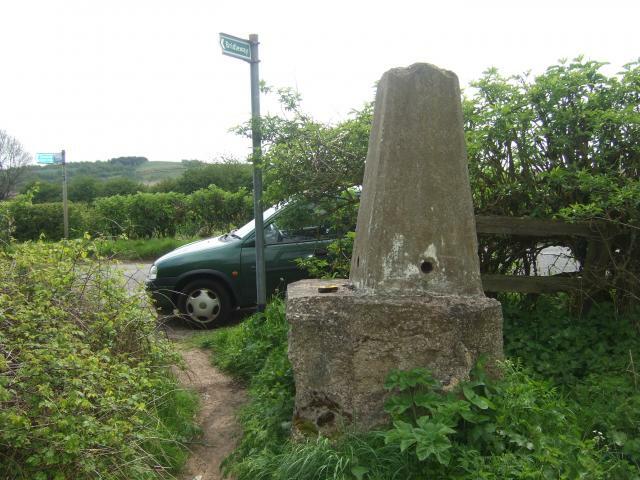 Parked on Pickburn Lane near the start of the public footpath, which I followed to the pillar. Shouldn't really count this one as not only has it been moved (assume as a barrier to cars and bikes accessing the footpath) but also no metalwork left. Still, glad the body has been kept. Revisit. 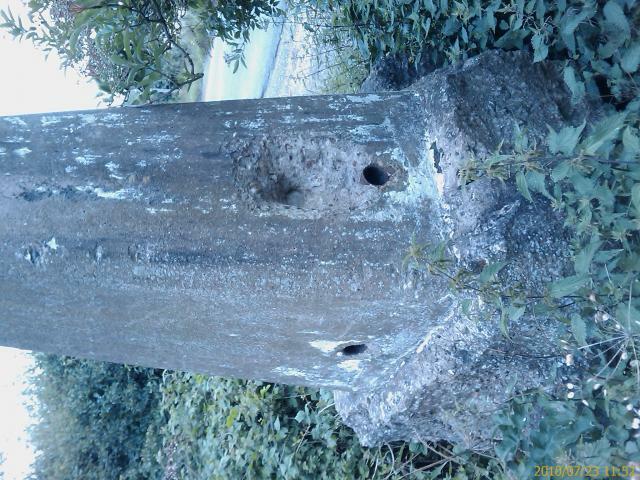 Pillar somewhat worse for wear but at least it survives. 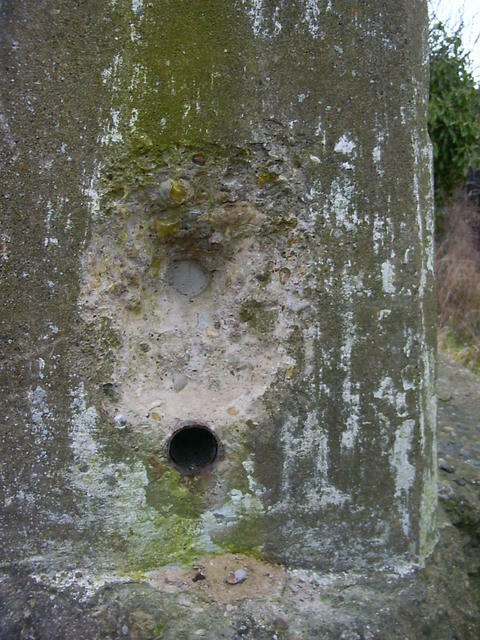 Gave the sighting holes a clean-out; centre mark now visible. 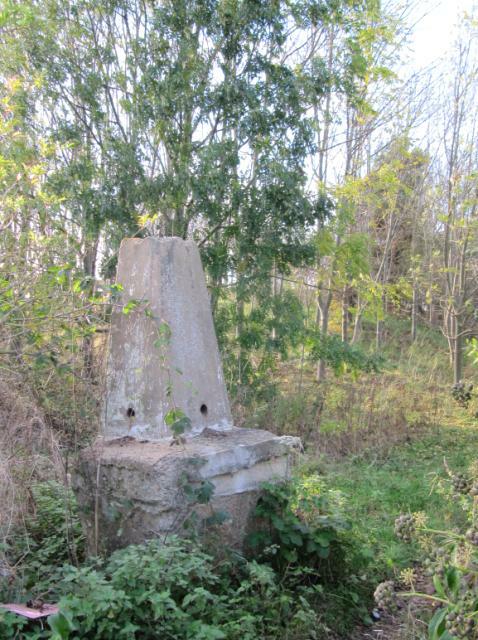 Pillar and foundations are leaning slightly. 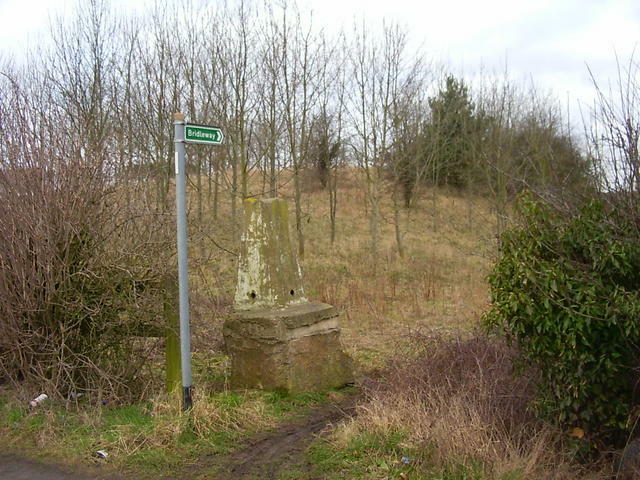 SE from Hickleton Spring pillar along field edge to Red Hill Ln. 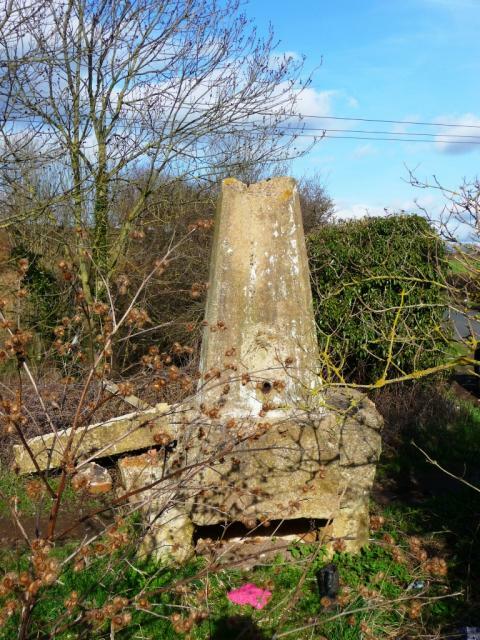 Followed the tarmac NE past a water tower to Bilham Lodge. Took the drive that turns behind Bilham Lodge to join a farm track leading NE along field boundary, eventually passing Brodsworth estate office to emerge onto the B6422 / Hooton Ln. 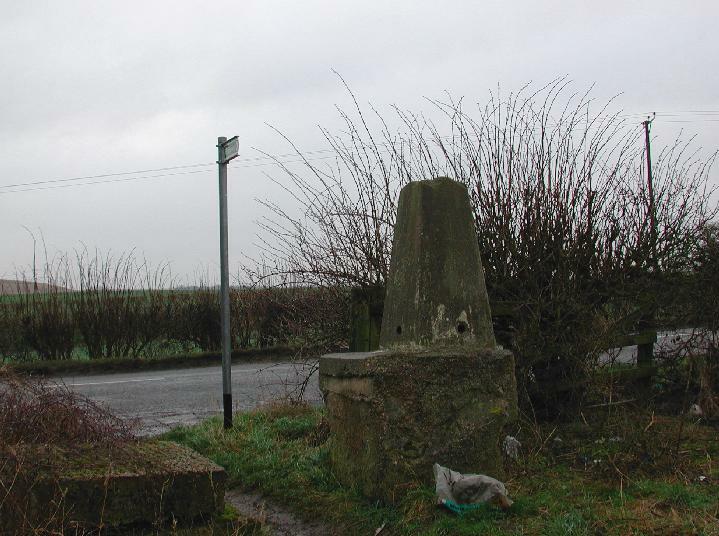 Continued E along the road to the 5-way junction where I took Church Ln towards Adwick-le-Street. 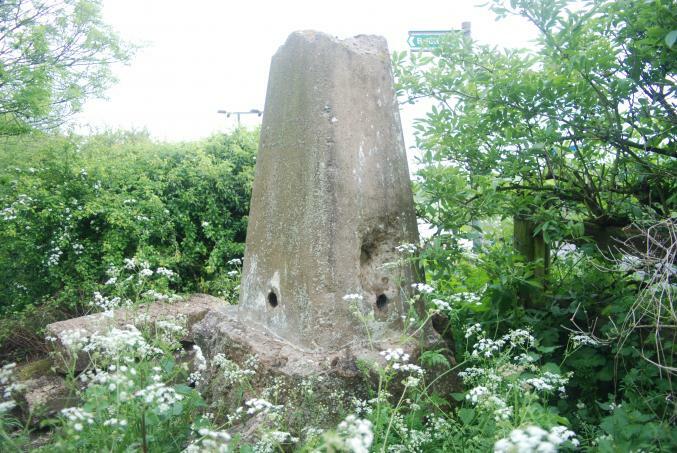 Pillar can then be found at the entrance to the bridleway beside a minor pull-in. 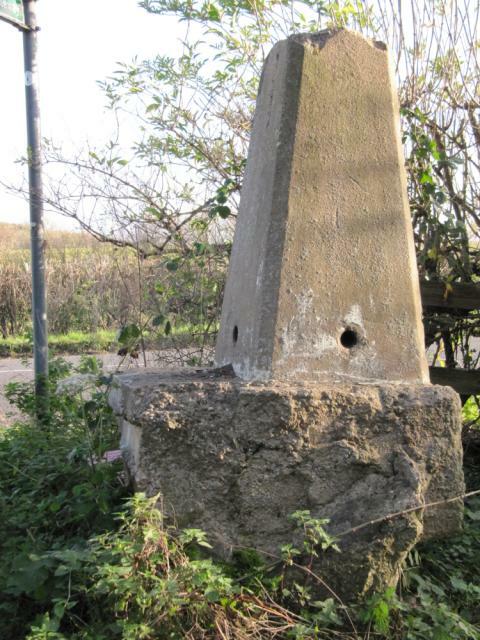 As noticed by others THIS TRIG HAS BEEN MOVED FROM ITS ORIGINAL LOCATION. 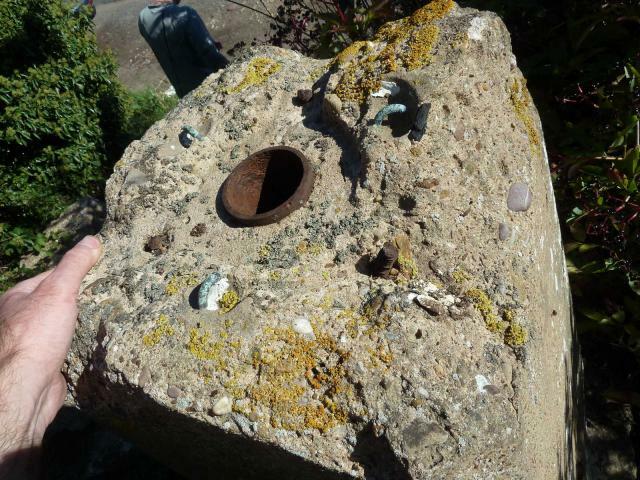 FB and spider missing with significant damage to the top. 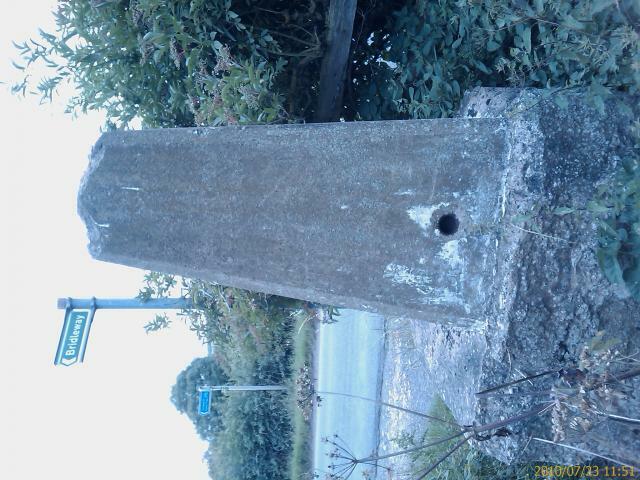 Still, better that than it having been consigned to trig heaven. No views due to hedge and trees. Continued NW along bridleway where views soon open out across gently undulating arable fields. 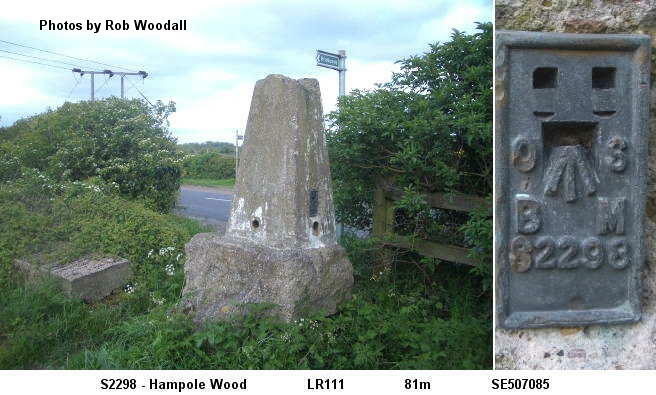 At junction of bridleways I turned N up the hill towards wind turbines and Hampole Wood. 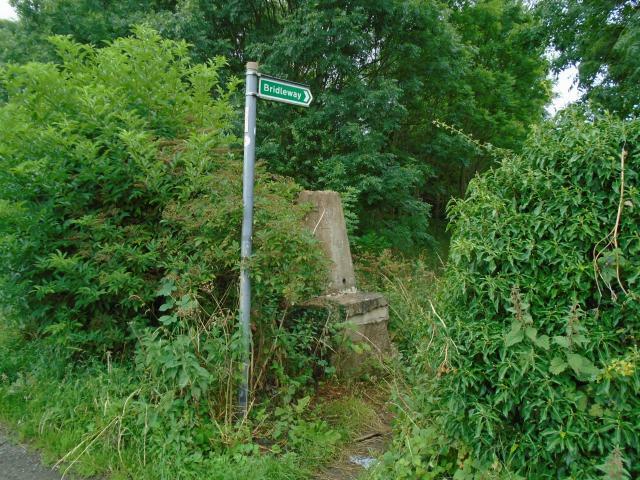 Followed bridleway W through the woods until it turns N where the woods are signed as private. 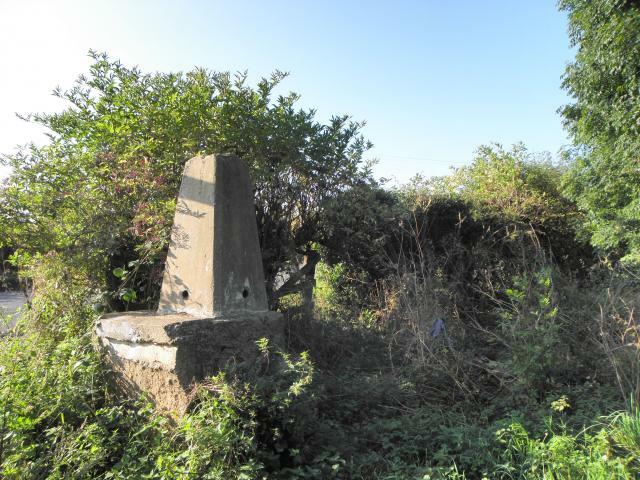 Here I continued W along the edge of the wood and field to join the PROW that heads S across the fields to Lound Hill. 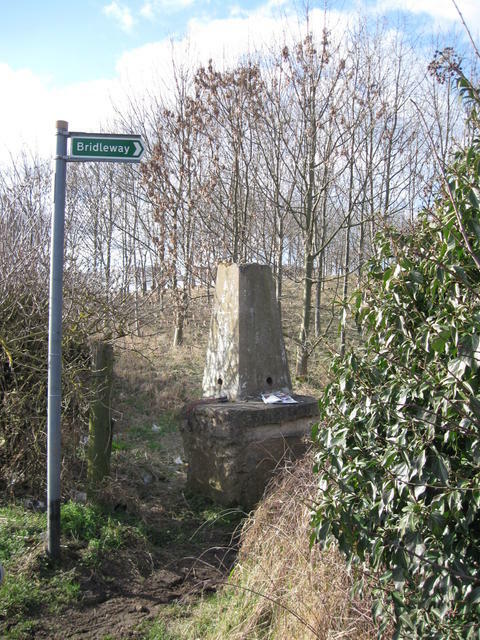 At the farm I turned W along the bridleway and returned to Hooton Pagnall via Narrow Balk PROW. 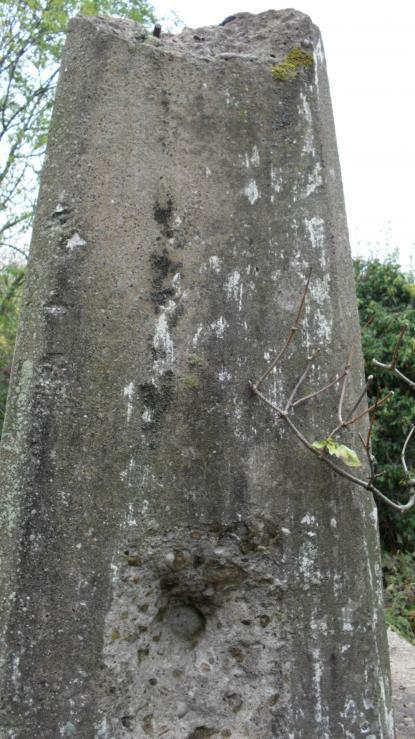 Surely the condition should be MOVED as this is crucial to anybody wishing to visit this pillar. stopped for a look while driving to relatives. Well found TED and very nice of the mover to stand it upright. 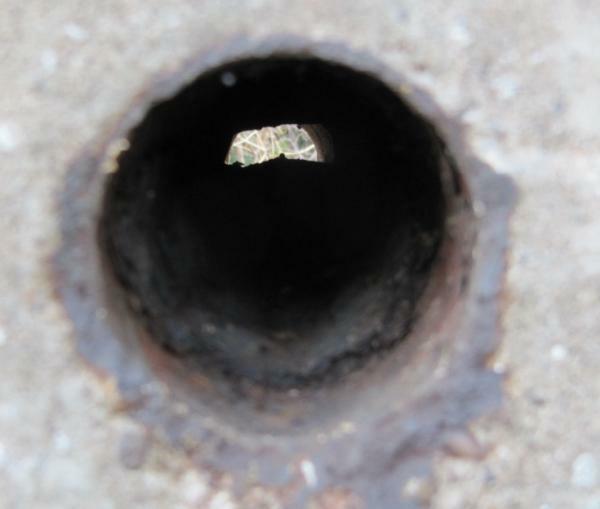 Its nice to be able to look in the site holes without crawling on all fours. No spider cap or FB. On large base. 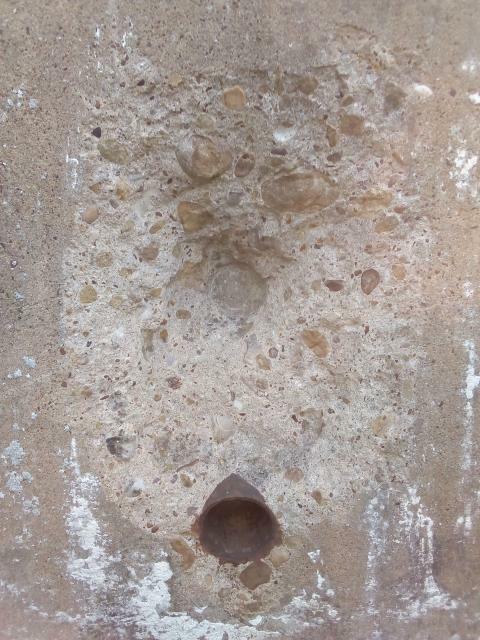 As the top is also quite damaged it gives a nice insight into how these were constructed. 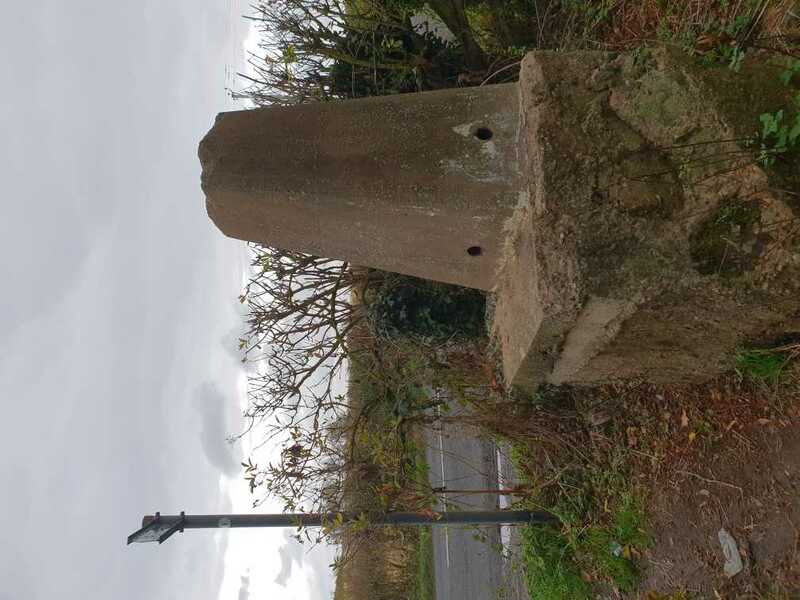 (163) standing at entrance to footpath, flush bracket missing,nothing much to see,the pillar is upright so ive logged this as moved unlike some previous entries who have it logged as toppled?? 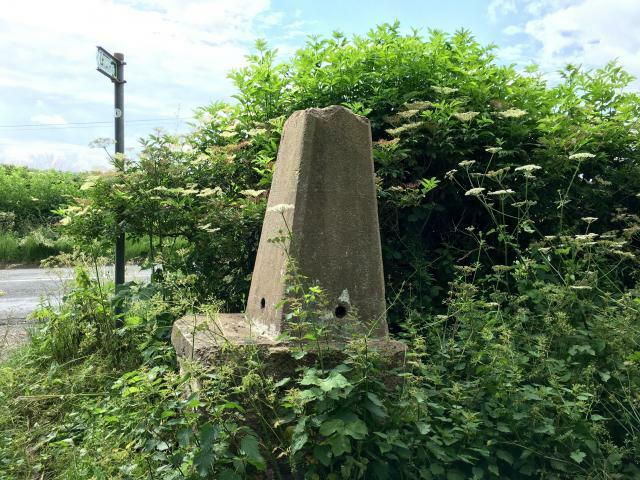 This trig has been moved to SE 51493 07684 and all the metal work has been stolen ! 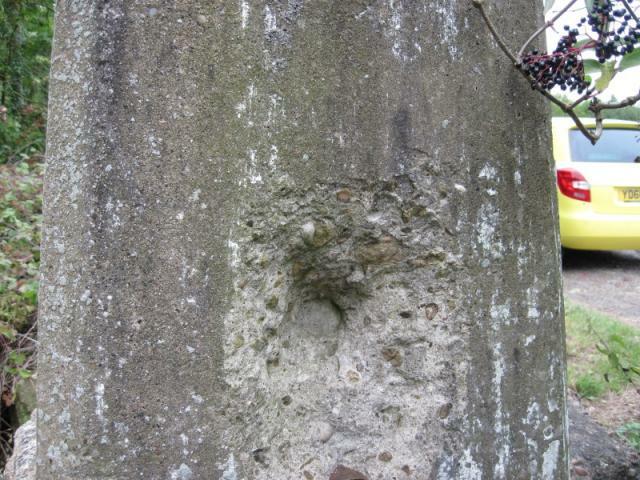 Found it, not an easy one, possibly been moved too. 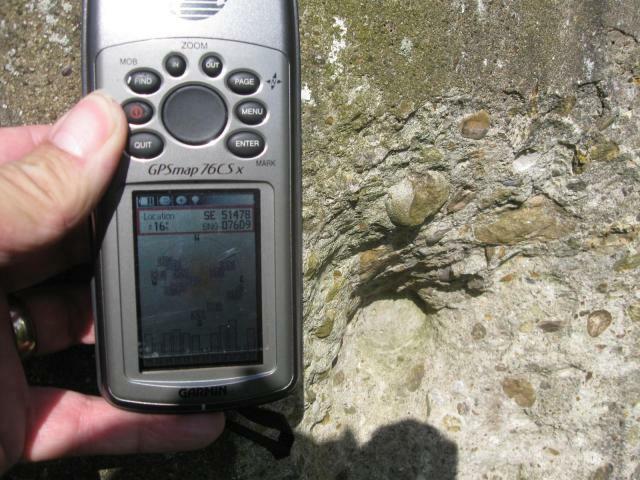 I will re-visit and log the grid reference accurately. The edifice had an item of female underwear at its base � I wonder how these could have been mislaid � bet it was more fun than trigpointing. 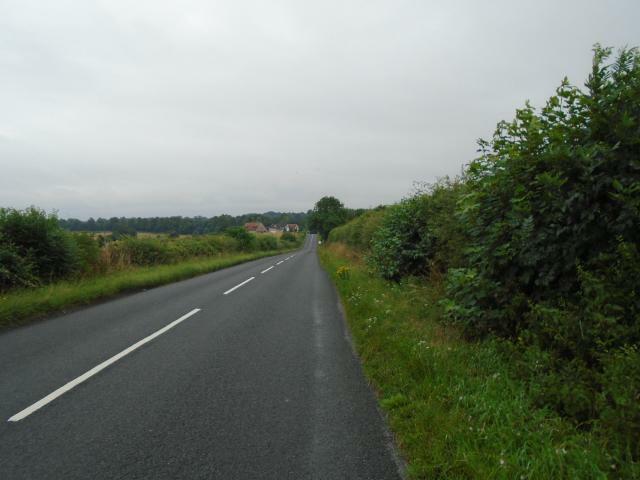 I seem to be following THE CYCLIST around now � could he have been the culprit? No � not Wilf � well not on his bike. Spotted on the website and followed the directions from previous visitors. 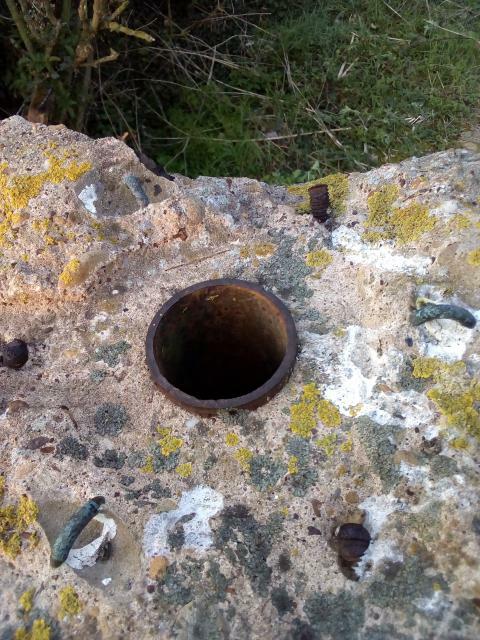 It must have taken some shifting with all the foundations attached. 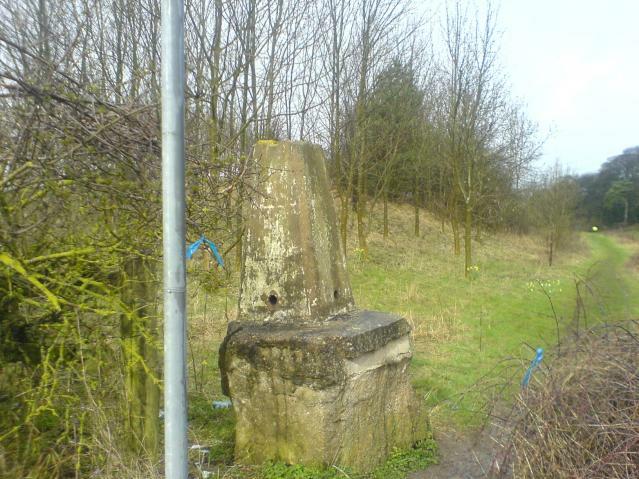 Was driving home from a boat party at Sprotborough when I passed this trigpoint. 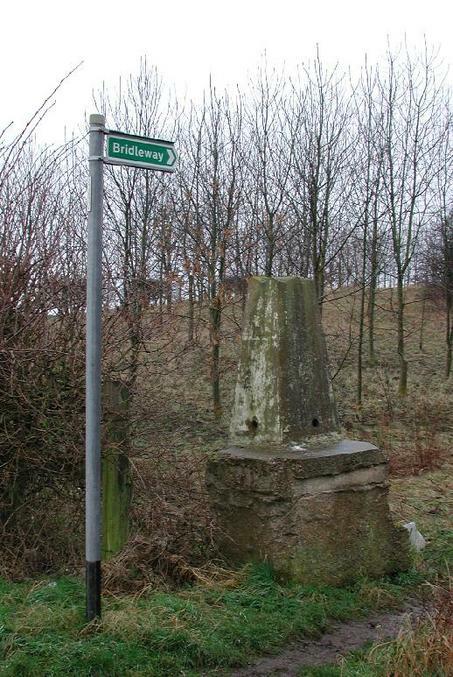 It is literally 5 paces off the main road on the outskirts of Brodsworth, heading towards Adwick-le-Street. Don't recall noticing it before, but apparently some people think it may have been moved here from another location in the past few years. 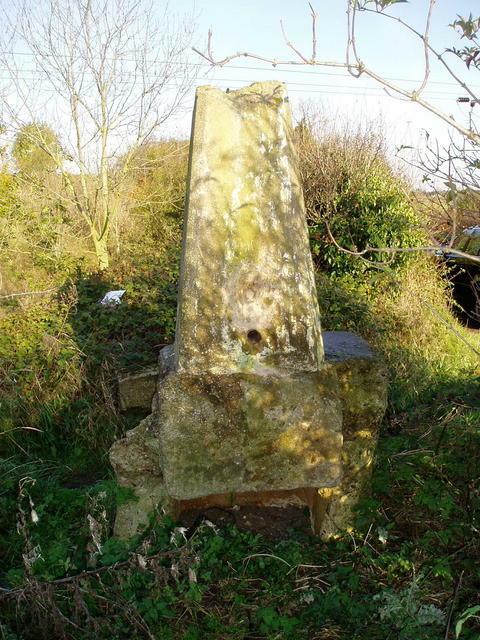 Trig isn't really the prettiest - very chipped and damaged, with no ignificant views in any direction. 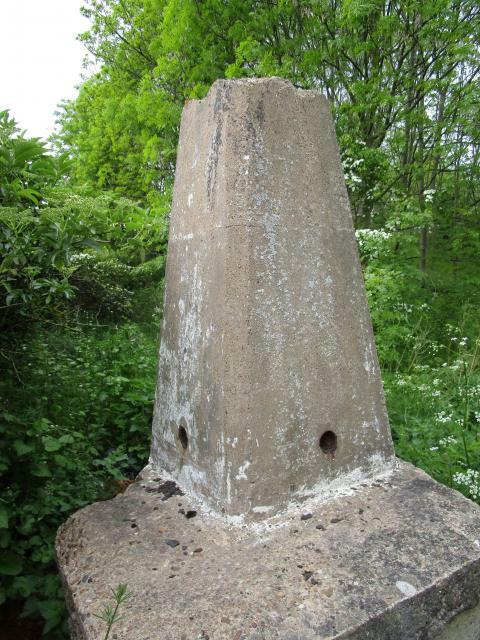 Brodsworth itself is a picturesque little place, surrounded by fields and copses, but the trig is a disappointment. 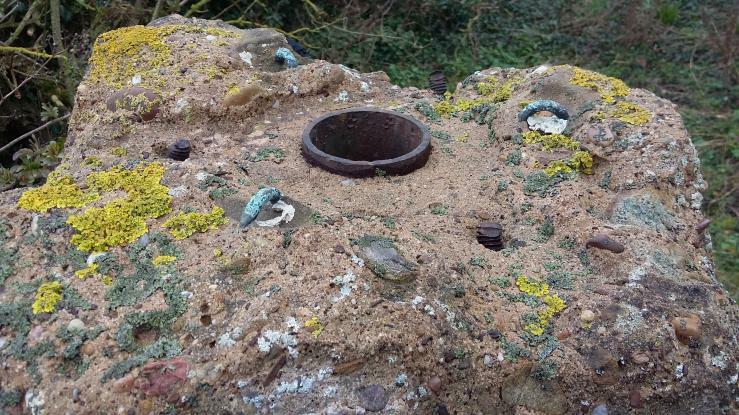 I wouldn't have been impressed if I'd undertaken a long walk just to get to this... however, as I was merely driving by it seemed rude not to log it! 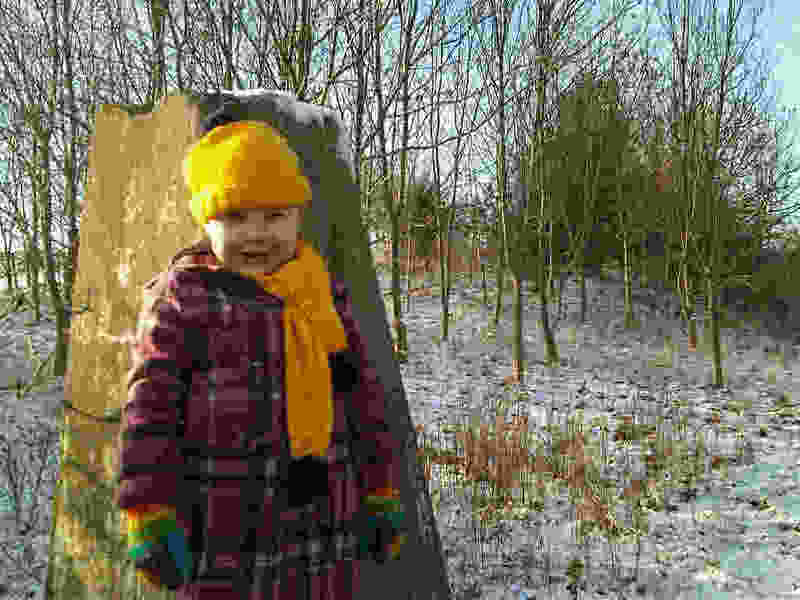 Hampole Wood trigpoint Ellie posing at the trigpoint on her way home from a party!! 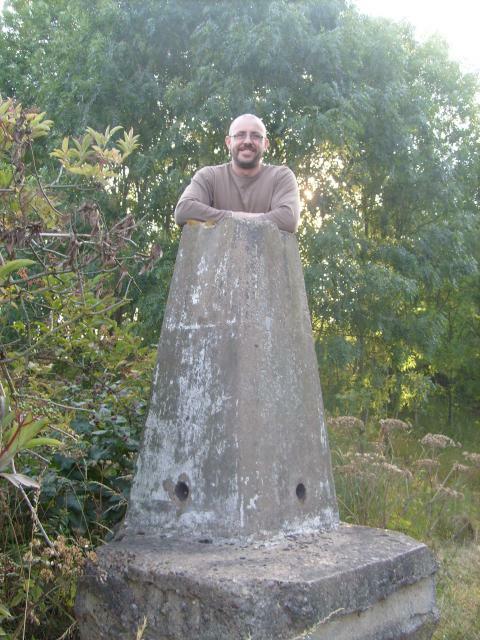 Hampole Wood trigpoint Me at the rather battered Hampole Wood trig. 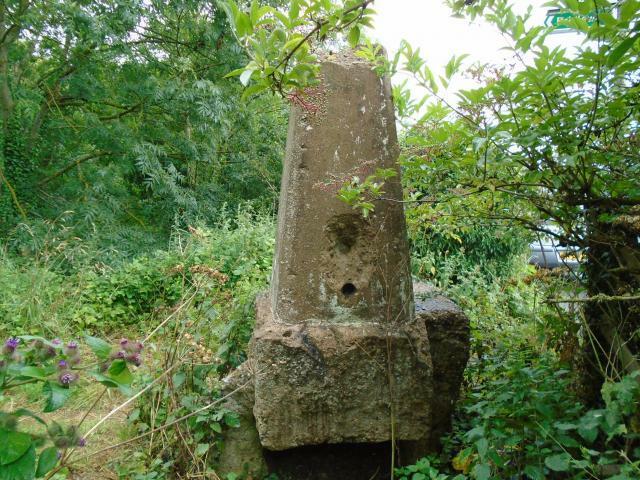 Hampole Wood trig point The sad and forlorn trigpoint at Hampole Wood, near Brodsworth. 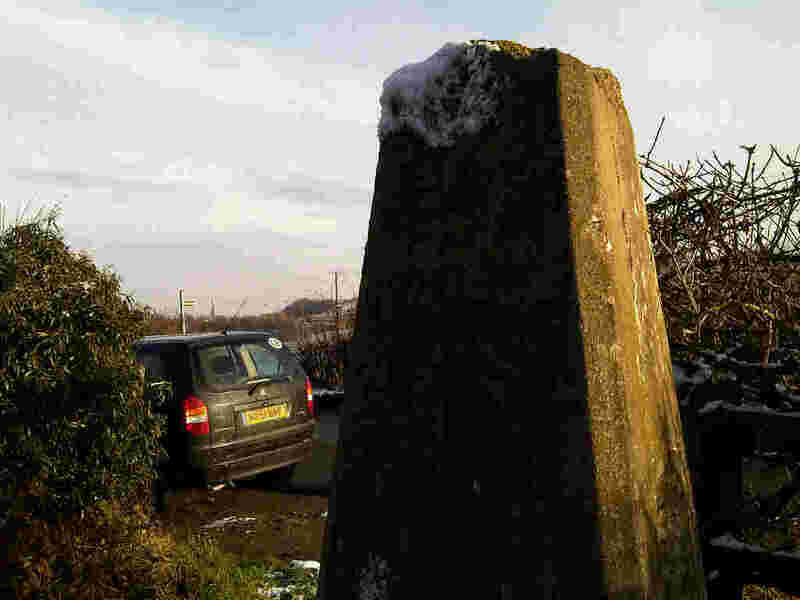 I had intended to walk from here back home via the trig at Barnsdale, but curiousity killed the cat so on a snowy November afternoon I took my daughter Melissa and parked up - easy to spot heading towards Brodsworth Hall as the trig is bang at the start of the path and you can even park at the road side as these pictures show. 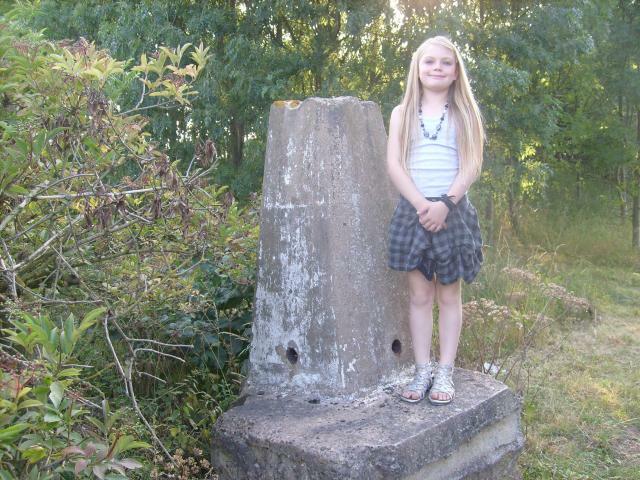 Ain't she cute the little trigbagger! This must have been fifteenth visit but the first time since I started this game. 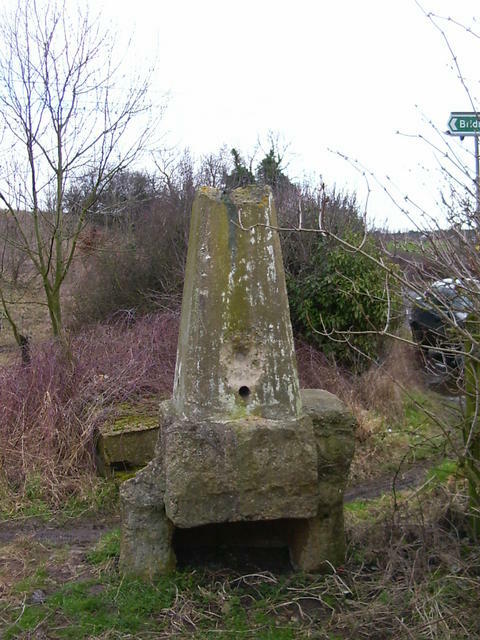 Used to do a New Years Day run/walk each year from Goldthorpe called the Hangover Hike and passed this forlorn specimen on the route. 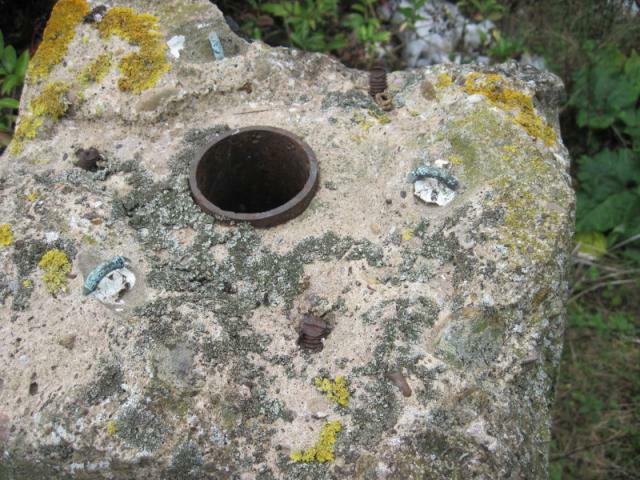 Shame it has been treated thus but still intersting to see the way things were properly constructed in the past. 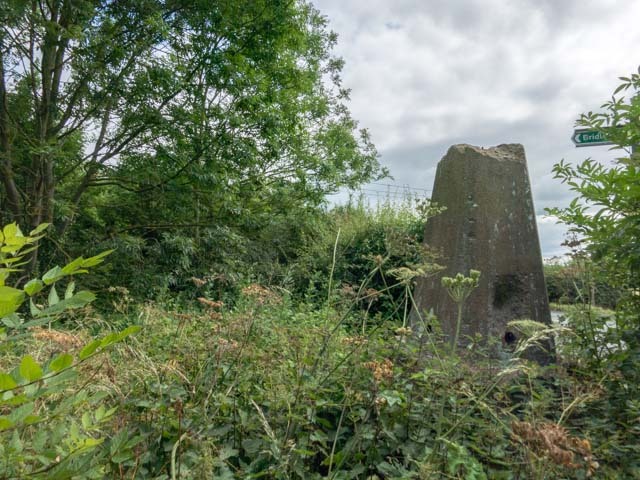 S2298 Hampole Wood Pillar and foundation. 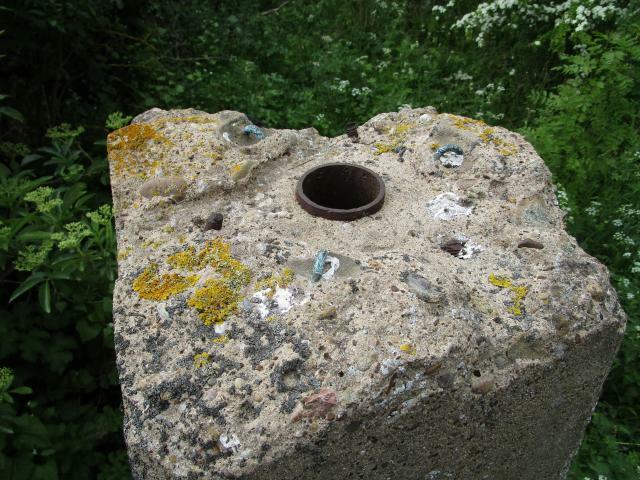 S2298 Hampole Wood Flush Bracket or rather where it used to be. 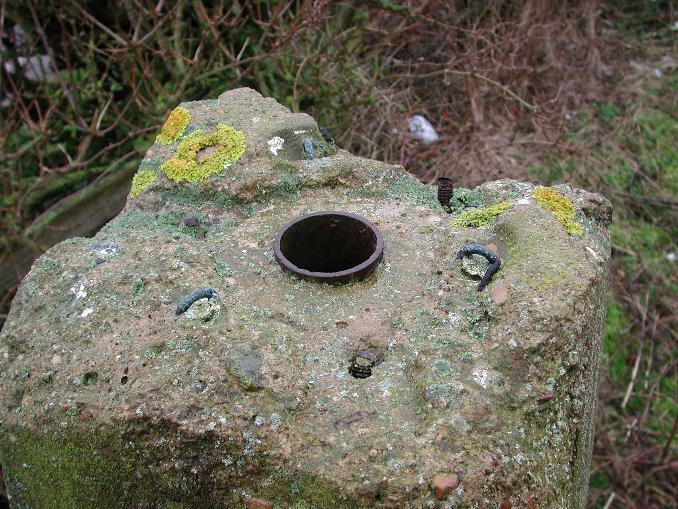 S2298 Hampole Wood Plug or what remains of the top. 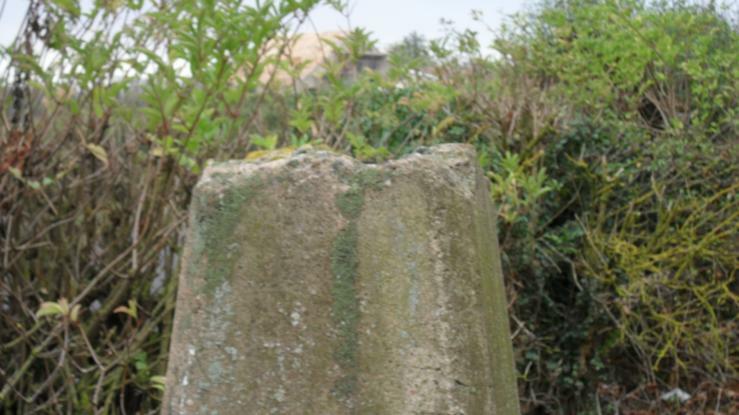 Walked into the field but the trig wasn't at the grid ref. Found out after that it had moved. A second visit is called for. 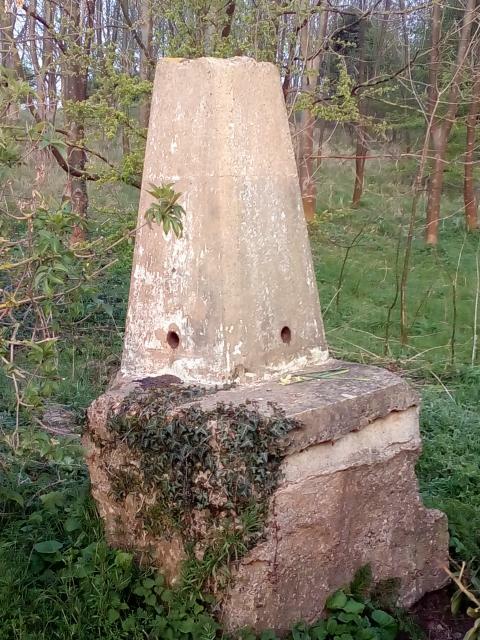 stumbled across this whilst geocaching in the area,blocking path,new use for the badly damaged trig.mobile pic. 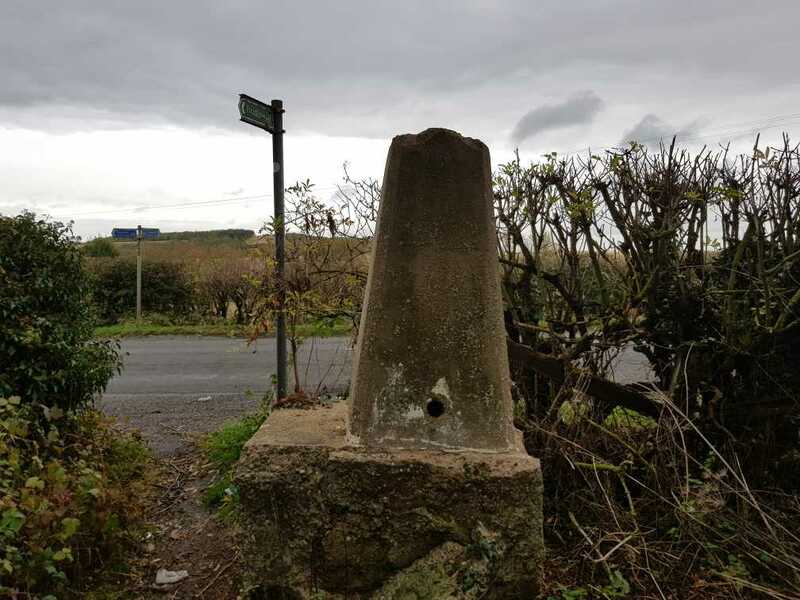 easy spot from the road,seen better days but still standing,the trig not me. Easily spotted en route to Brodsworth Hall, not quite so easily spotted on return journey. 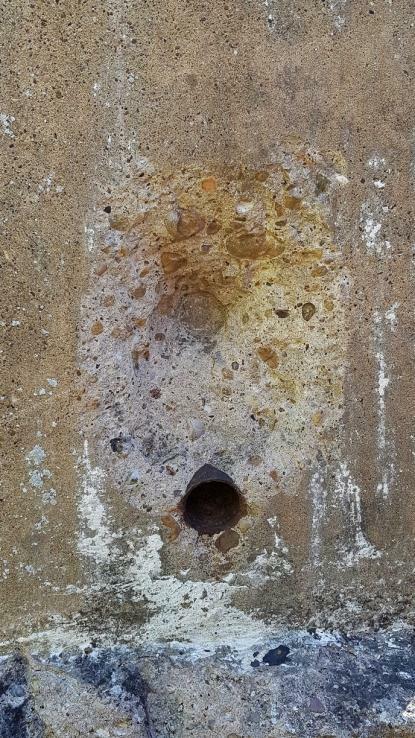 Probably the most-vandalised pillar I have seen, but it is interesting as it shows how much of a pillar is below surface. 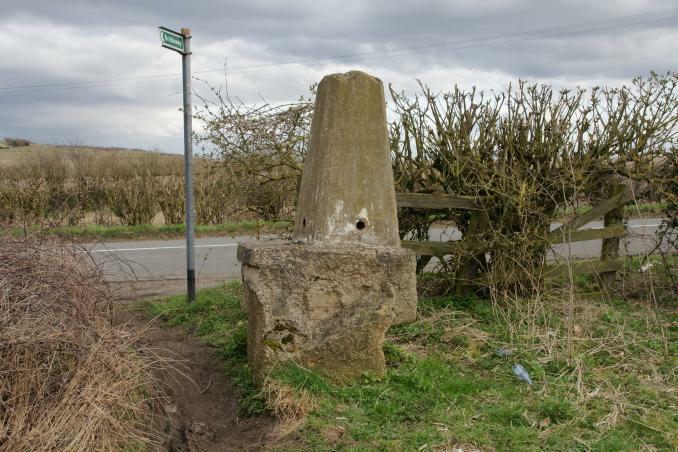 Judging by the huge rocks placed in entrances to adjacent fields, this pillar seems to have been put to use as a deterrent to off-roaders. 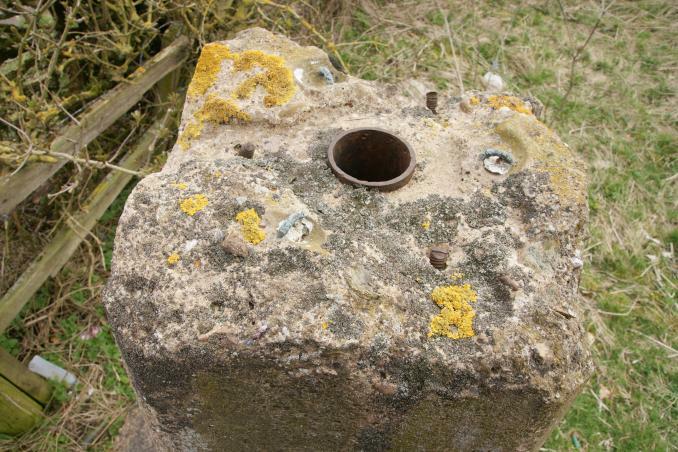 The pillar No way to treat a trig point ! 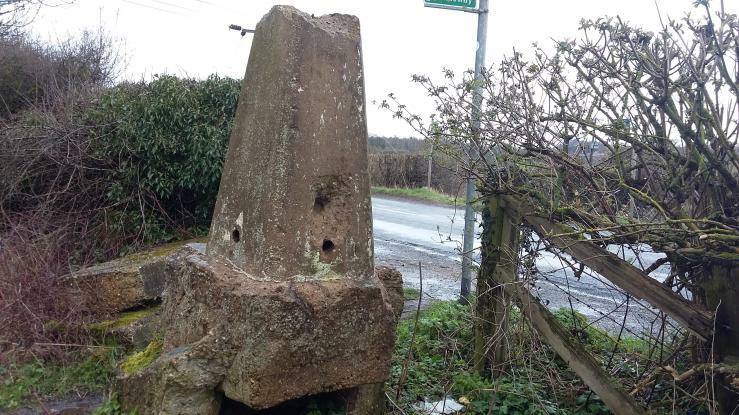 The pillar Now employed as a deterrent to 4 x 4 s ? 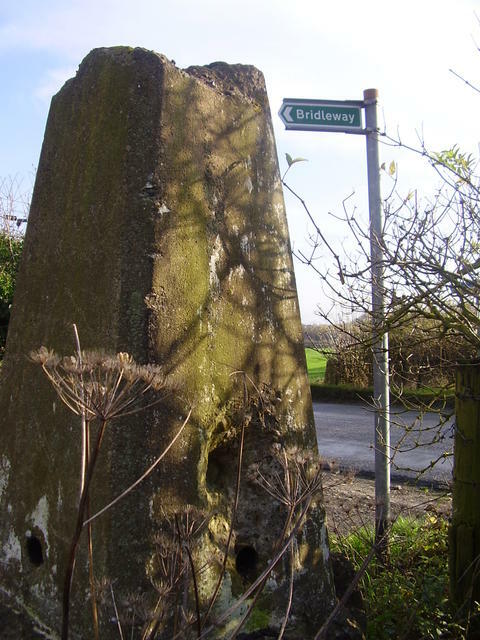 Moved and damaged, now on bridleway cycle path - on a positive it is easier to get too now and probably less muddy. 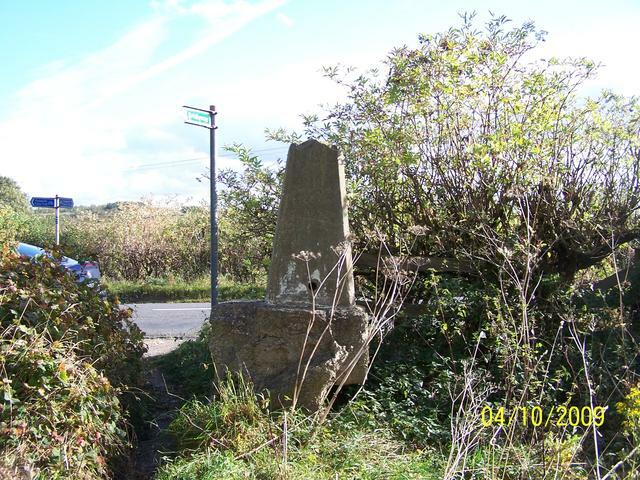 Moved from original position 0.7 of a mile to the N/W.No steelwork in place going on to Barnsdale trig via A1 on bike. 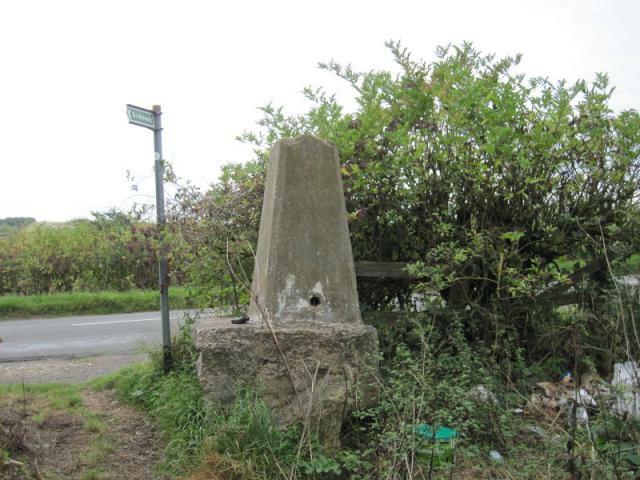 Now a roadside trig with convenient parking and a nearby copse to go and eat your sandwiches. It's certainly moved quite a long way. No brasswork. OS list FB number as S2298. Went to orginal location, which is between 2 fields,path on the map from the road is just a tractor track. 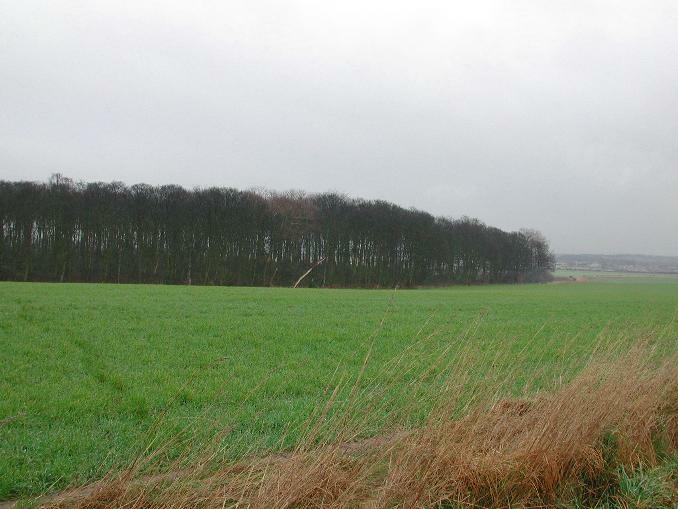 view block by the woods on one side and crops on the other. Nice one 'ted', certainly stands proud and spider removed with vengance. 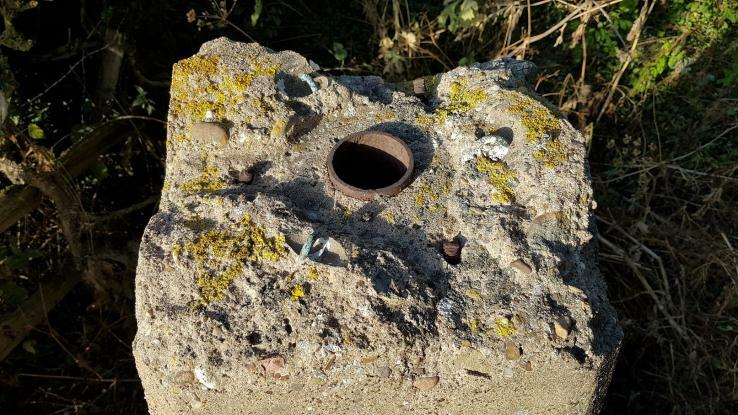 Initially checked the original site; no sign of it - assumed farmerised. Looked along the margins of wood; nothing found. Views of the B&Q Distribution Centre and the A1(M). 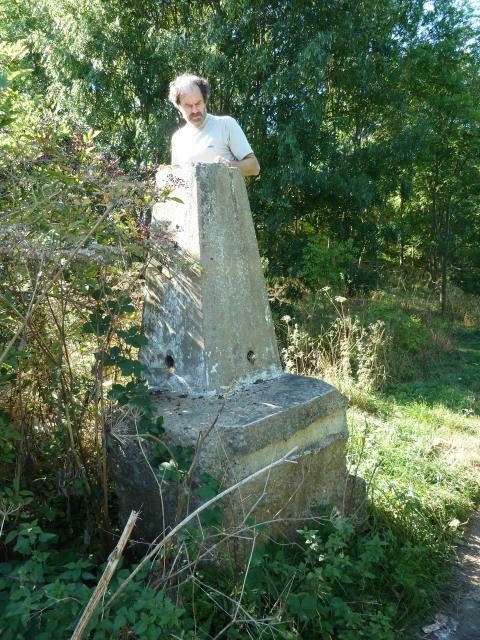 Then by chance discovered the new location - at junction of bridleway and minor road at SE514076. 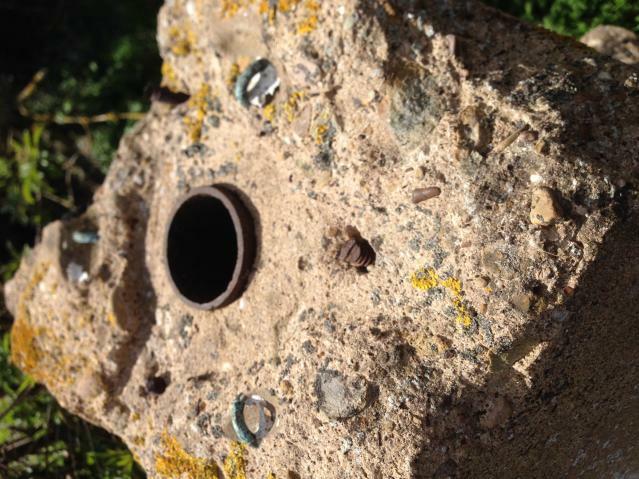 All sighting holes open; FB intact but spider missing. 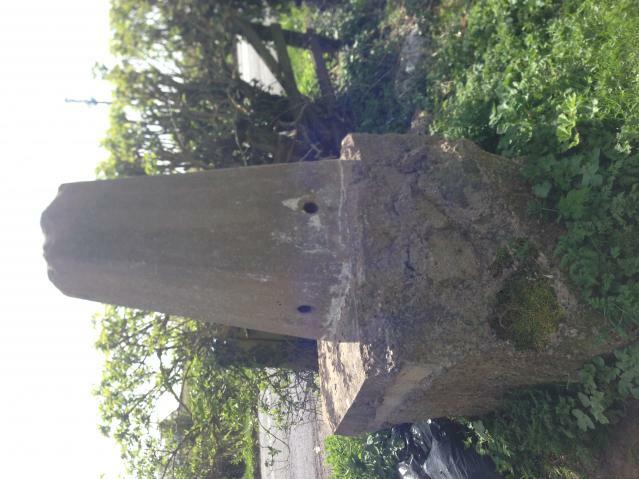 Plinth still attached - someone must have gone to a lot of trouble to relocate this - good for them! 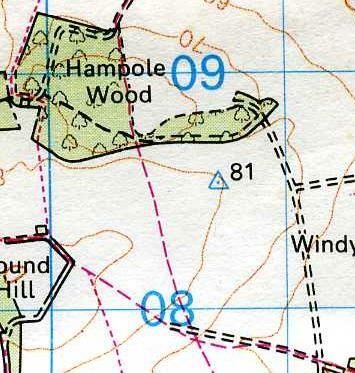 Hampole Wood The original location, shown on OS Sheffield and Doncaster Sheet 111 1:50000, 1986. Trigonomy notes destroyed Nov 1994.